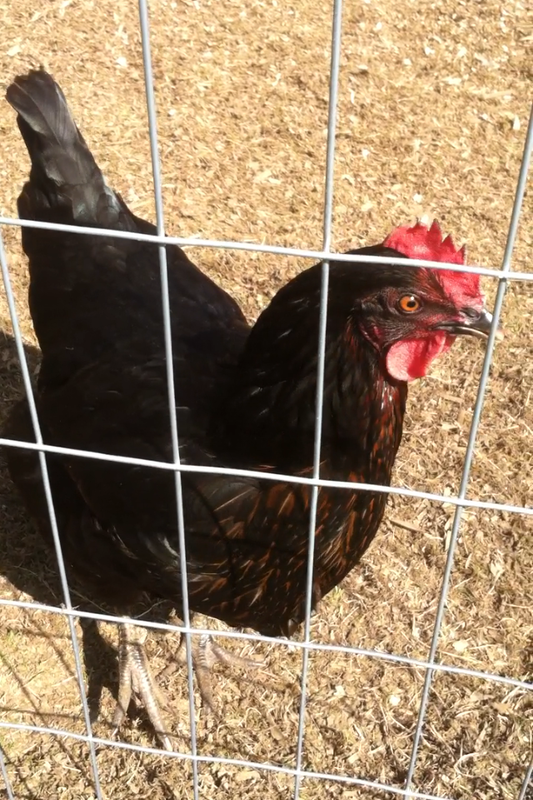 We’ve had our 4 backyard chickens for almost a year now. 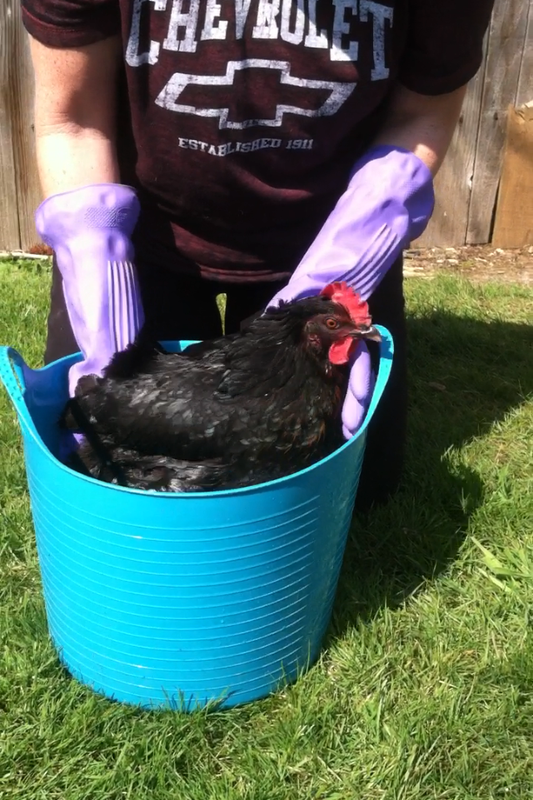 The last several months, Amelia has had big clumps of poo and bedding stuck to her backside. 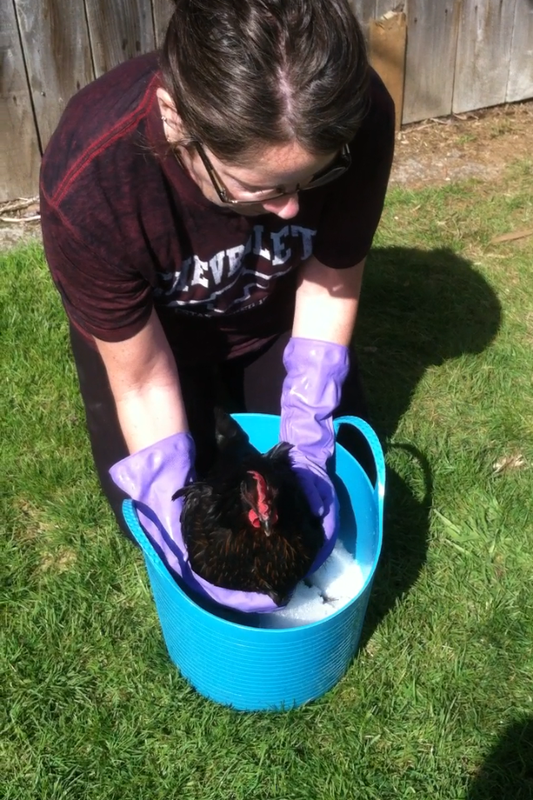 I have seen once before that you could bathe chickens and decided to give it a try. Today was a beautiful day. The sun was out and warm, perfect for a bath. 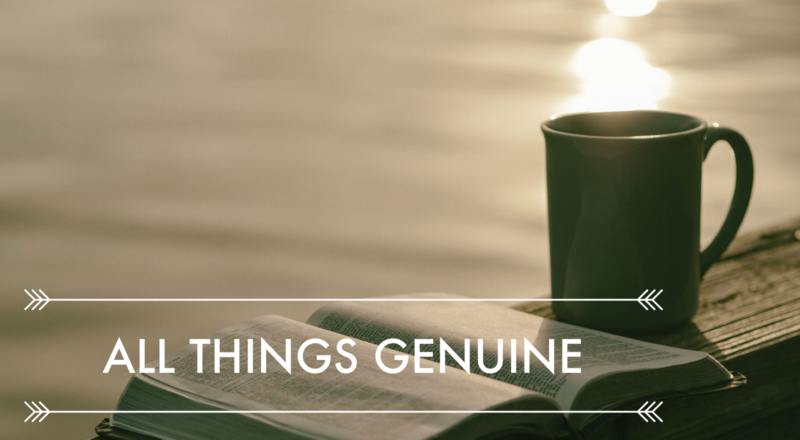 I fulled a bin with luke warm water and some Dr. Bonnors Castile Soap and went to get Amelia. She took it quite well after the first initial shock of being in water for the first time in her life. I kinda wonder if the cool water felt good on her bare skin. 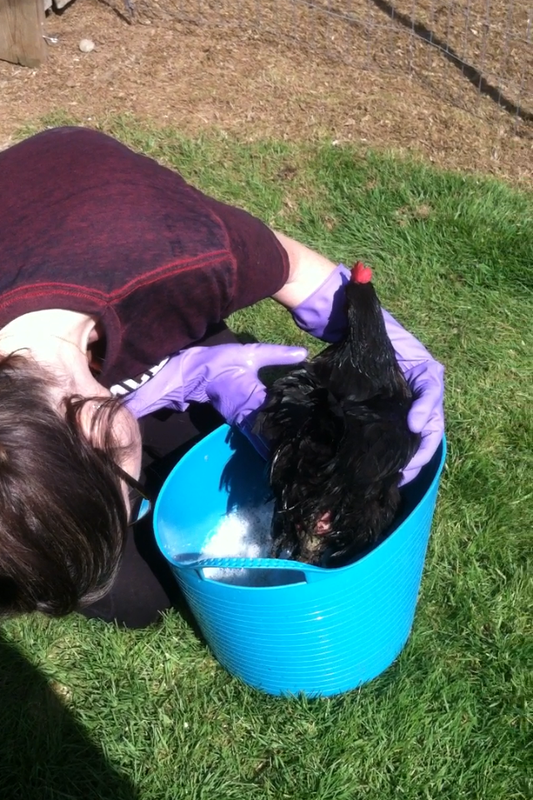 The poo was in big chunks in her feathers and some of her feathers were missing. I think they were pulled out by the balls of poo. It took quite a while to get all the poo off, but once I did, she looks so much better. Once her feathers dried, I couldn’t see her skin any longer either. I’m sure she feels better and I hope we won’t have so much poo on our eggs either. 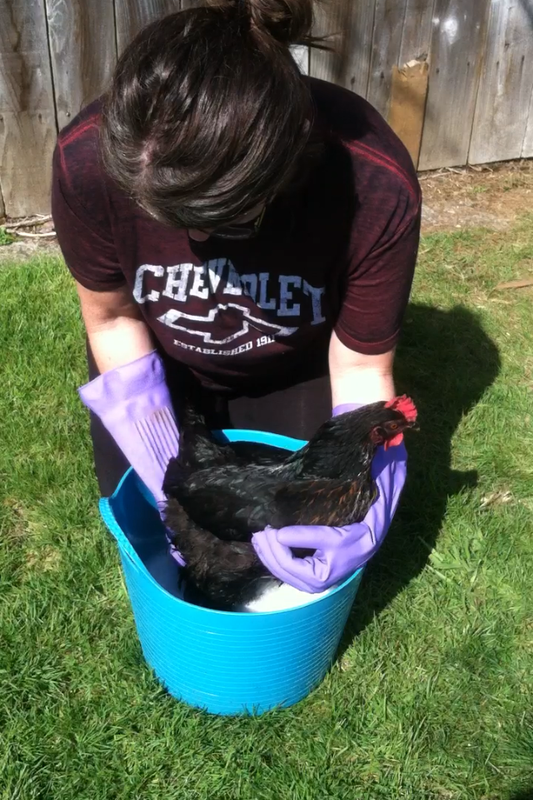 Have you ever bathed your backyard chickens? How did it go?